Having supplied forklifts for over 35 years, our expertise in this field means we can work your warehouse racking supplies and advise on the best forklift solution to accompany it. We also offer fully guaranteed and servicing facilities. 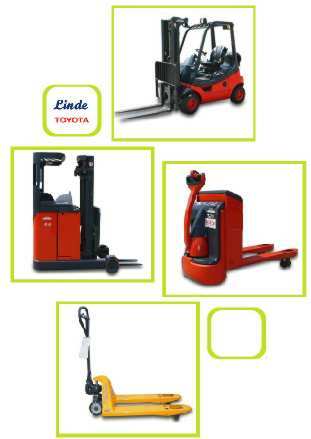 Please also check out our recycled list for used Fork Lifts.